The Hero Destini 125, the company’s first 125cc scooter. The Hero MotoCorp is proud to showcase their new addition to the public. The price of the new vehicle starts from ₹54,650. 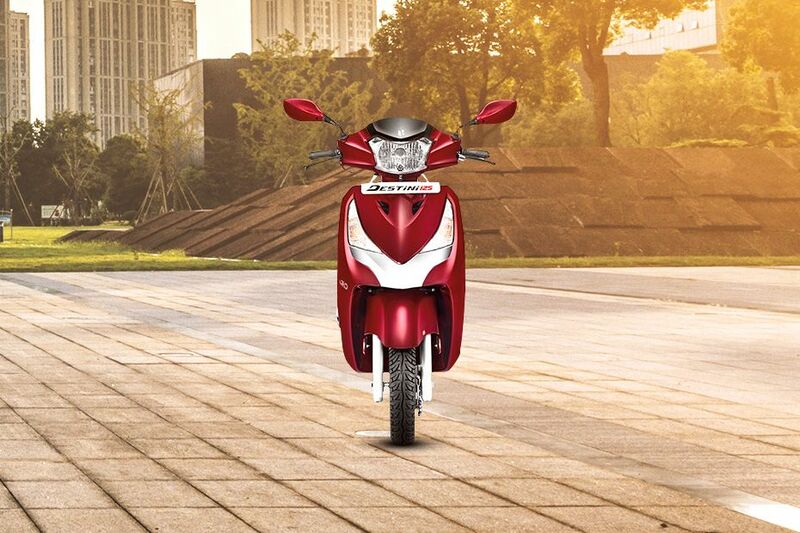 The all-new Hero destini 125 is available in two variants LX and VX. The cost of the VX starts at ₹57,500(ex-showroom price) and the price of the LX starts from ₹54,650(ex-showroom price). Deliveries of the scooter will start in three to four weeks.The Hero Destini 125cc is the first scooter in the market that comes with the automatic start-stop system, termed as i3S by Hero MotoCorp. The fuel efficiency as claimed by the company is 51 kmpl from the Destini 125. The Destini 125 has been completely developed in-house at the company’s Center of innovation and technology in Jaipur. It can be said that visually, the Hero destini 125cc resembles the 110cc Hero Duet, but only dimensions and silhouette are similar. 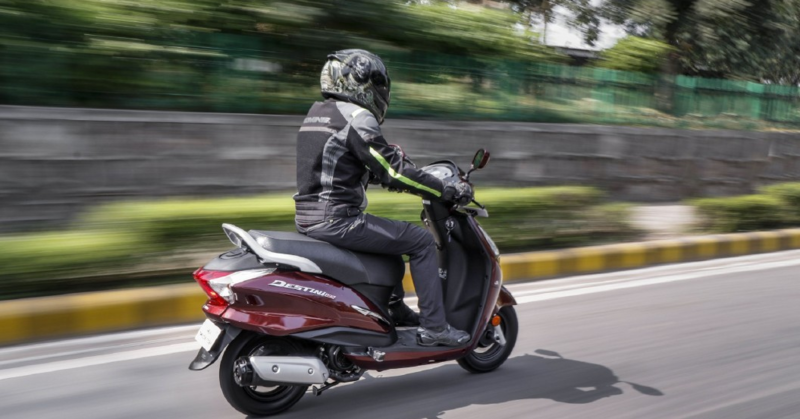 Although the suspension and brakes from the duet have been tuned further to serve the 125cc scooter, the body panels, styling, and other details are all new. At the Auto Expo 2018 in February, the new two-wheeler was first showcased as the Hero Duet 125, along with the Hero maestro Edge 125. It includes Integrated Braking System, side stand indicator, pass switch, service reminder, external fuel filling and more. The VX comes with boot light, chrome garnishes, mobile charging point, cast wheels, and dual tone seat covers. The destini 125 so far will only be available with drum brakes, but Hero official has not ruled out the introduction of disc brakes if there is significant customer demand for that feature. The head of Global Product planning, Hero MotoCorp Ltd stated that the scooter market is witnessing a shift towards products with higher engine capacity. 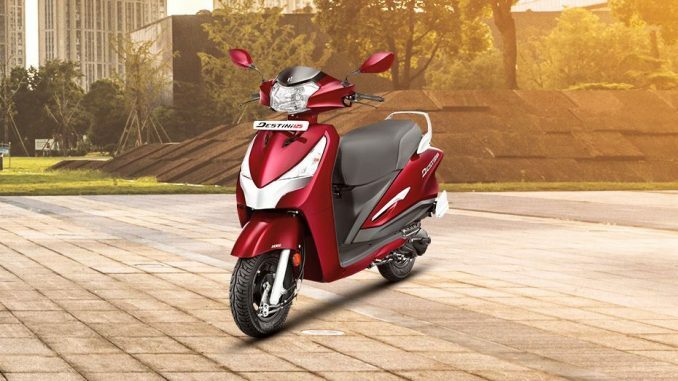 The one segment which has been expanding at a rapid place, witnessing a growth of over 75% year to date is the 125cc segment. The 125cc segment is a focus area for multiple companies as it is most preferred by the people. The scooters launched in this category soon becomes the scooter of the year for the companies. The next assignment by the Hero company in the 125cc segment is the hero Maestro Edge. It will share the same engine with the Hero Destini 125, but will also be available with disc brakes on the top end variant. This bike is powered by a new 125cc single cylinder, air cooled engine. The engine offers 8.7 bhp at 6750 rpm and 10.2 Nm of peak torque available at 5000 rpm and has been tweaked to offer better low-end power for higher urban usability. According to the officials, the Hero Destini 125’s engine is completely new and is an out of a version of the Hero Duet.